After hearing and reading all of the ways ground flaxseed can help the cardiovascular system as well as strengthen the immune system, I had to try it out for myself. While at my doctors one day I asked him, where can I buy ground flaxseed? He replied, practically anywhere that sells healthy foods or you can get it online. So I purchased some and I LOVE IT! After 26 going on 27 years of avoiding all kinds of prescription medications, I have come to know how great Mother Nature’s own medicines can be. 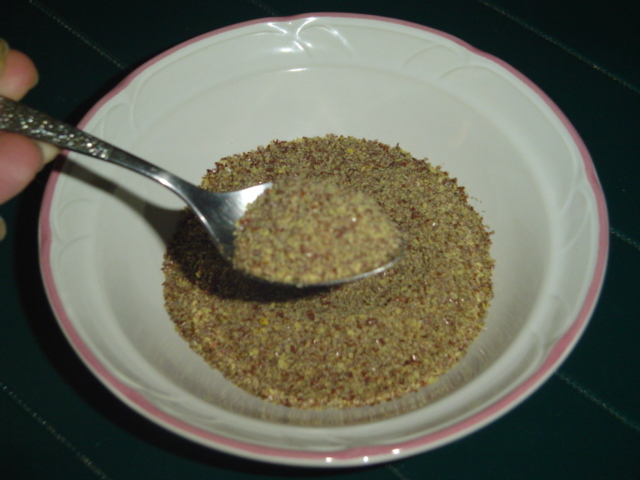 One of my favorite healthy foods is ground or milled flaxseed. Because I am someone who always tries to eat as organic as I possibly can, I buy USDA organic ground/milled flaxseed. Ground flaxseed has many benefits which include helping to keep your cholesterol levels in the normal range as well as your blood pressure and blood sugar levels. It also boosts the strength of your immune system by killing free radicals before they can damage healthy cells. The lignans in ground flaxseed are powerful free radical scavengers. Other benefits include: support for healthy eyes, lubrication of your joints by reducing inflammation throughout the body, moisturizing the skin inside and out, support for weight loss, keeps you regular, and helps to sharpen your mind. HOW CAN FLAXSEED DO ALL THAT? 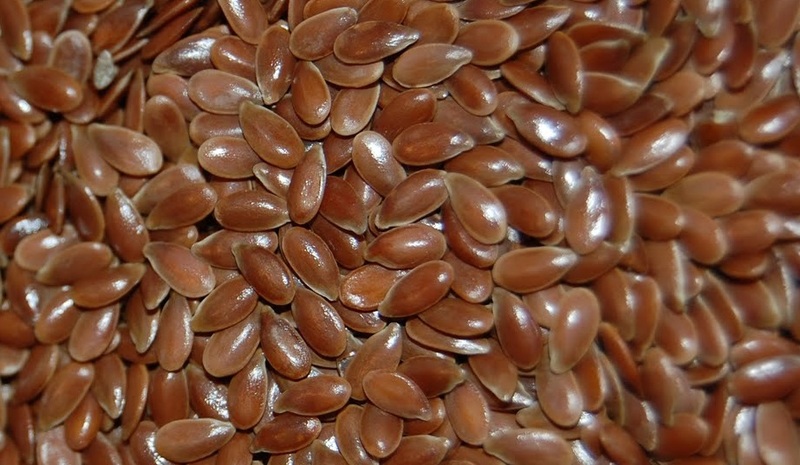 Flaxseed is Mother Nature’s most abundant source of essential fatty acids (EFAs). I’m sure you have heard of essential fatty acids before. One of the main reasons why Fish Oil is so good for the heart and cardiovascular system is because fish oil is rich in Omega-3 EFA. Well flaxseed also has omega-3 EFA but it also has the other two omega-6 and omega-9 EFAs. I remember when I was little, and maybe you do too, my mother used to give me that nasty tasting Cod Liver Oil. Yuck! 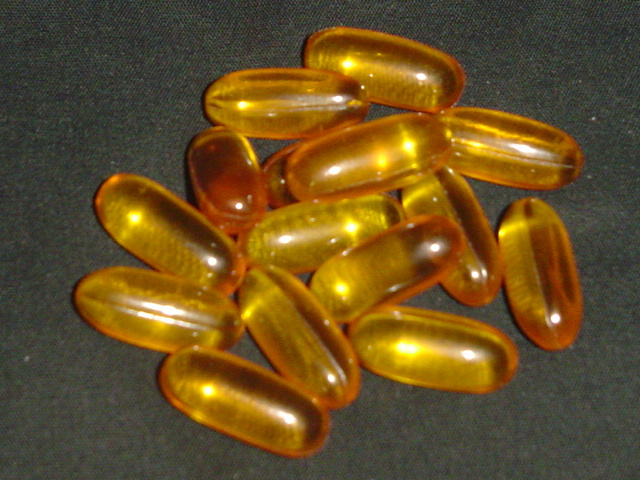 But cod liver oil is just one of the many different types of fish that fish oil comes from. I still take fish oil from time to time but I normally alternate between it and flaxseed oil. However I prefer ground/milled flaxseed over flaxseed oil because the oil kind does not contain lignans which boost immune system strength nor does it contain fiber. Since I am always taking, drinking and eating things that boost my immune system during the fall and winter months I will always use ground flaxseed over flaxseed oil. Another good reason to use ground flaxseed during the colder months is because of its fiber, which flaxseed oil does not have. Since most of us do not exercise as much during the colder months and tend to eat more, consuming the fiber in ground flaxseed will help to keep weight gain under control. The fiber in flaxseed helps to promote a sense of fullness to help curb over eating and appetite. HOW DO I USE GROUND FLAXSEED? It is very easy to use. Just use a quarter cup every day. I like the taste of ground flaxseed. It has a mild but nutty flavor to it and I add it to many different types of foods. I sprinkle some in my morning cold or hot cereal, scrambled eggs or pancakes, and into yogurt or cottage cheese. I will also add it to any vegetable juice or smoothie, sprinkle it on top of vegetables or a salad, add it to soups, and meat or turkey loafs. I don’t think there is much that I haven’t tried adding it to except fruit juices, but maybe I’ll try that someday. One of my favorite juices to add it to is Low Sodium V8 Juice. See my Reviews page for the great heart health benefits of that mixture. I buy my ground/milled organic flaxseed in vacuum sealed re-sealable bags. However I have found that the flaxseed will last longer and stay fresher if I store it in my refrigerator after opening it. This helps to preserve the beneficial omega EFAs and oils. If you buy whole flaxseed and only grind a quarter cup every day, then placing the non-ground flaxseed in the refrigerator is not necessary. If you have any questions or comments about flaxseed or flaxseed oil, please leave them below in the comments section. I will get back to you with a response within 24 hours. This entry was posted in Healthy Food Choices, Heart Disease, Immune System and tagged cardiovascular system, strengthen the immune system on September 25, 2013 by Robert Prescott. My wife and I use flaxseed all the time. It is very healthy and although I’ve heard others say they didn’t really like the taste, we think it’s great. Perhaps it’s just a matter of getting used to. But thanks for posting this. It is very informative. I agree with you. I am someone who loves to cook so there isn’t many flavors I do not like. I can understand if someone were to taste straight up ground flaxseed and not like the taste but once you mix it with something it’s hard to still taste it. Great stuff that ground flaxseed. I could use some joint lubrication and a healthier immune system. I am a health nut too and really enjoed reading your article. Do you recommend grinding the flax for better absorption? Thank you! If you are taking whole flaxseed then yes! You want to consume it ground and not whole. You can buy ground or milled flaxseed at almost any store that sells healthy foods. If you are going to grind it yourself then only grind a 1/4 cup per day this way the un-ground flax doesn’t go bad as fast. Also storing it in the refrigerator helps to preserve freshness. Very informative and helpful article. I think I just may give your flaxseed a try! Thanks for the heads up! No problem. If you like V8 vegetable juice I have a recipe that my doctor told me about that not only keeps cholesterol normal but blood pressure as well. Mix a teaspoon of ground flaxseed into 8-12 ounces of Low Sodium V8 juice and drink 1-2 glasses of that a day. Best natural medicine you can buy from the store.